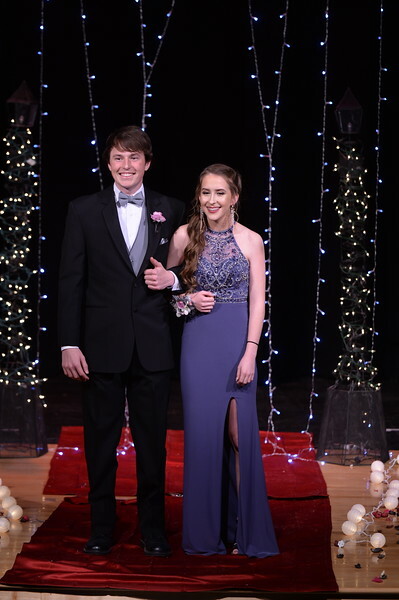 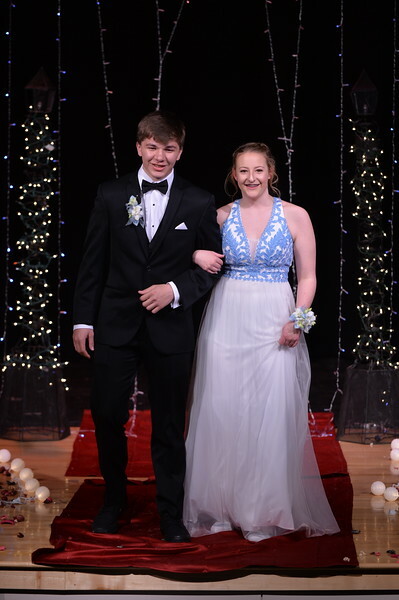 Seniors Hugh Patterson, left, and Courtney Good make final touches before heading inside for prom at Tongue River High School Saturday, April 7, 2018. 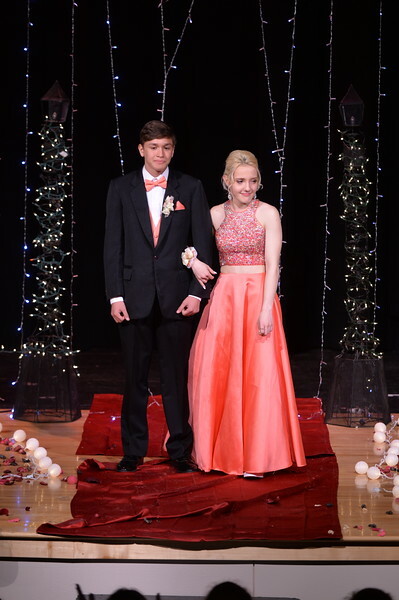 Tyrell Old Coyote tucks in his shirt in the parking lot before prom at Tongue River High School Saturday, April 7, 2018. 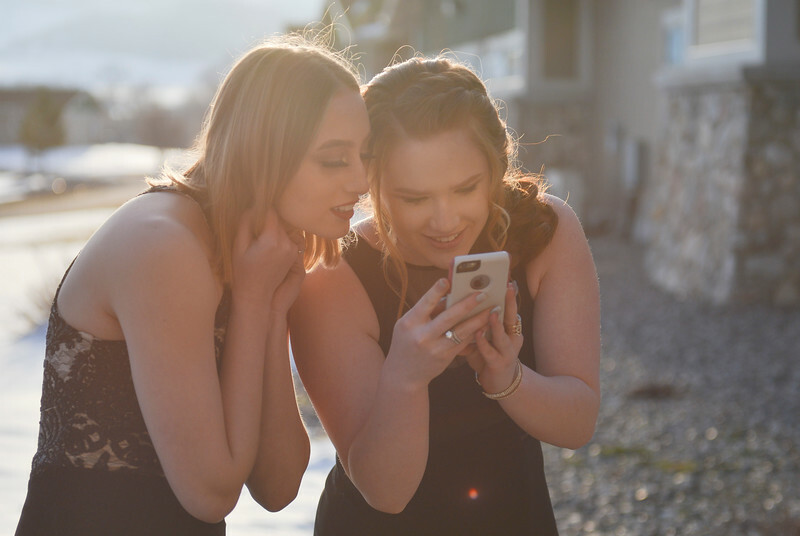 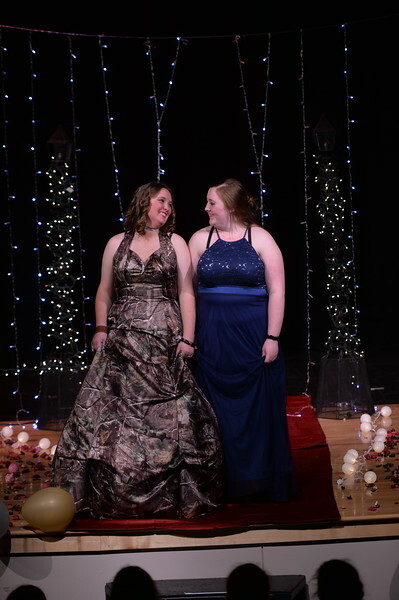 Sophomore students Reagan Mullany, left, and Emma Schroder check their photo on a smartphone during prom at Tongue River High School Saturday, April 7, 2018. 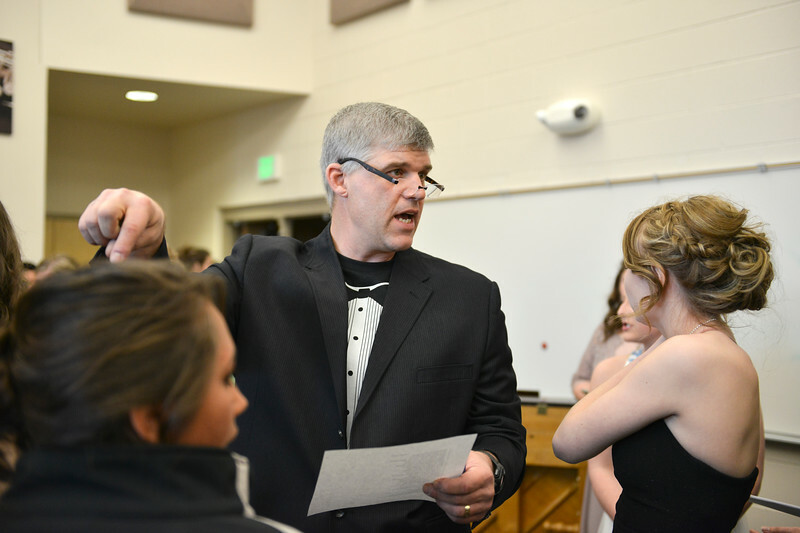 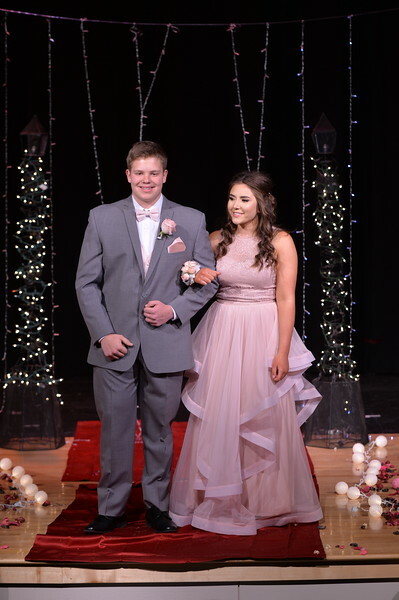 Principal Mark Fritz organizes the couples during prom at Tongue River High School Saturday, April 7, 2018. 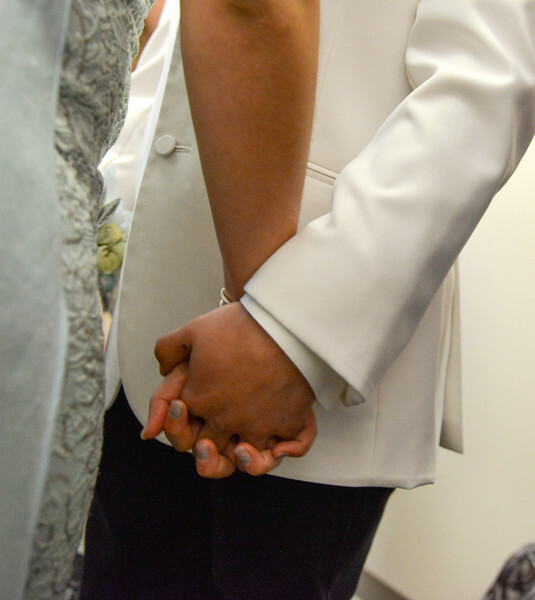 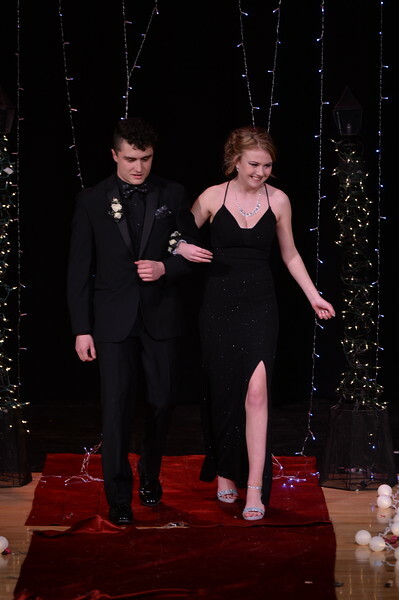 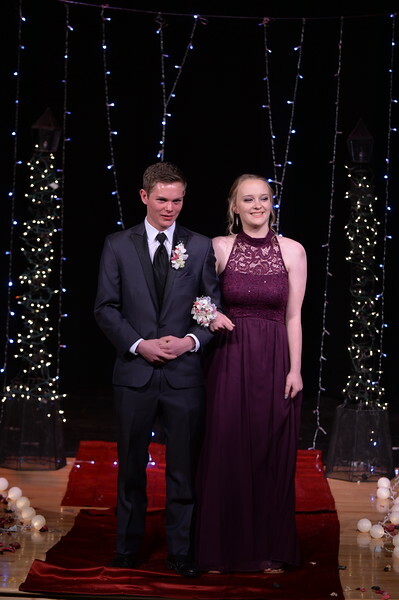 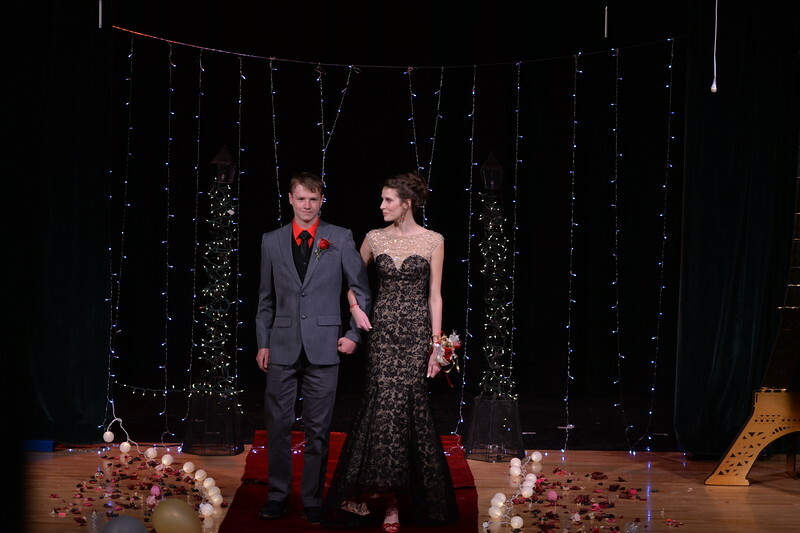 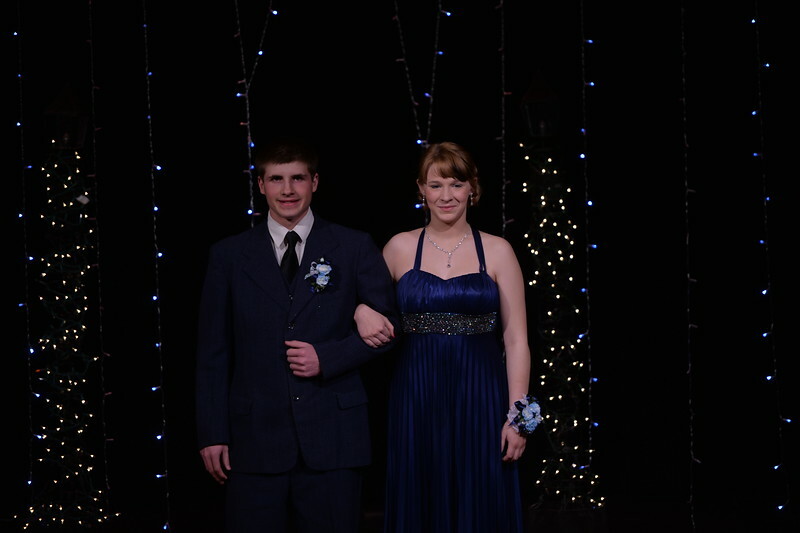 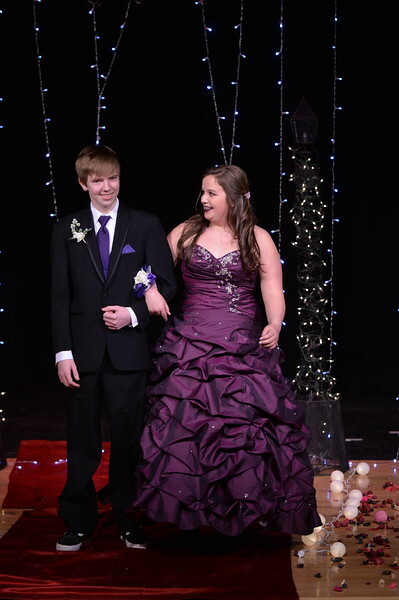 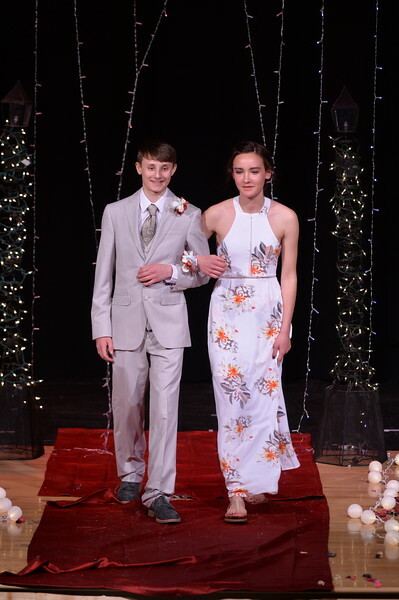 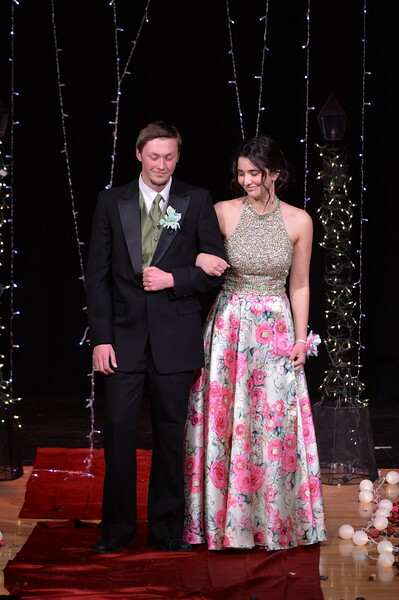 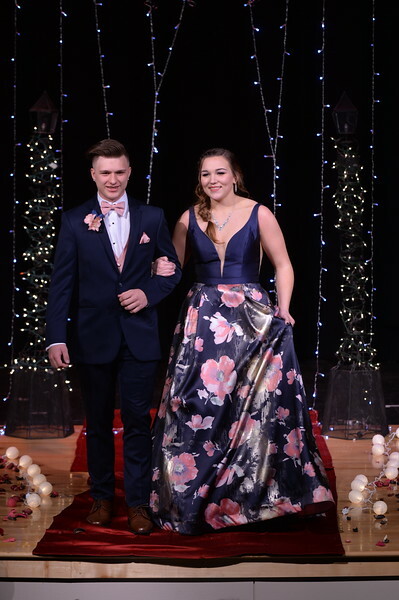 A couple waits in line during prom at Tongue River High School Saturday, April 7, 2018. 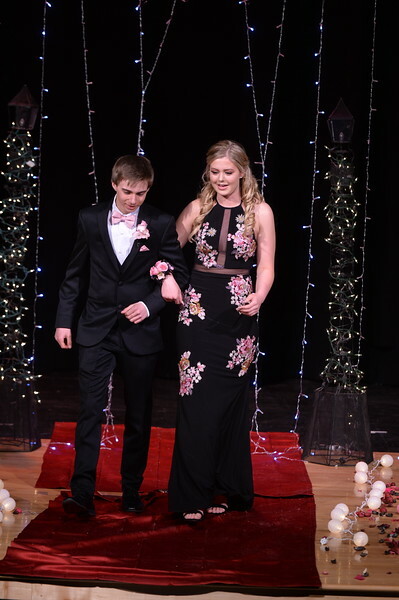 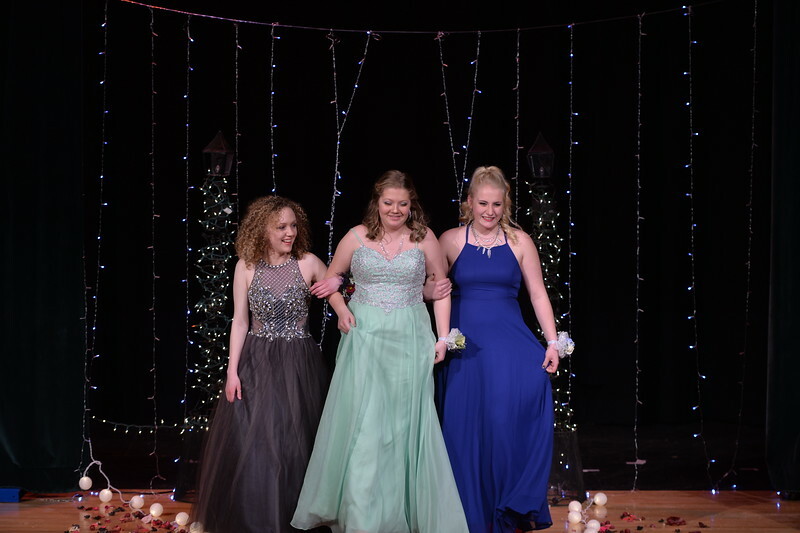 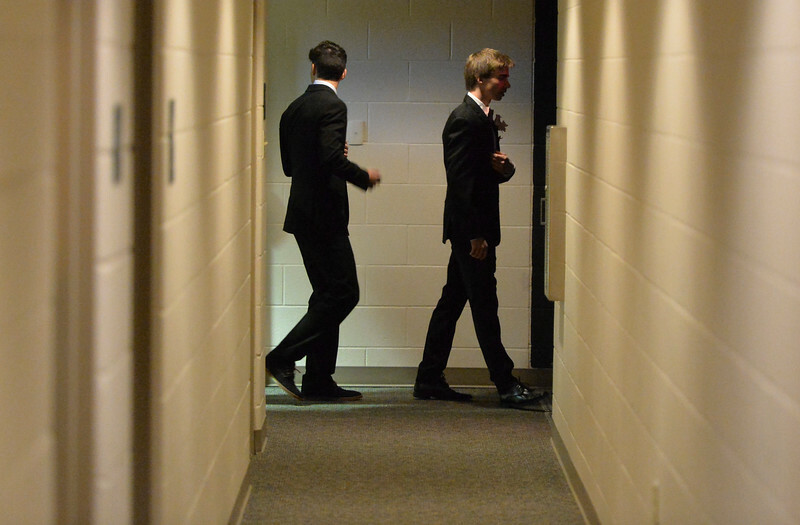 The boys file to their places during prom at Tongue River High School Saturday, April 7, 2018. 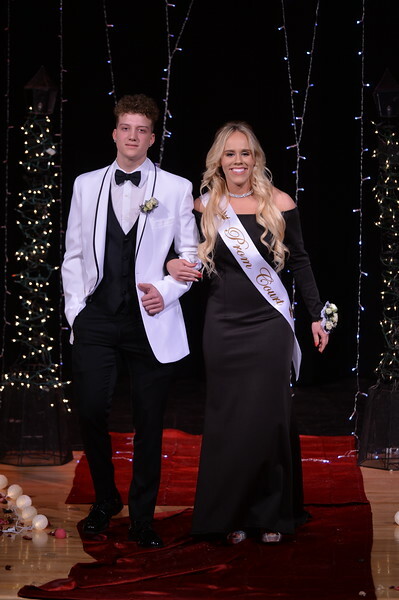 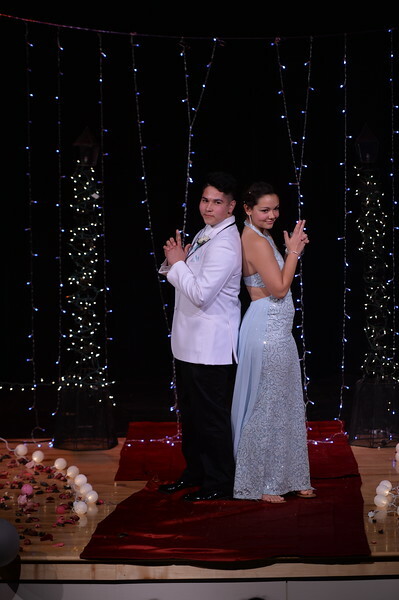 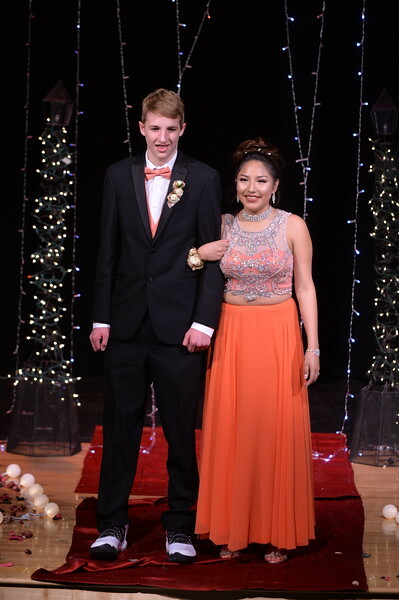 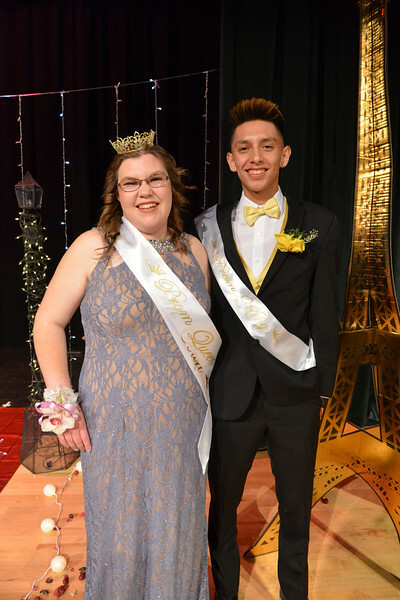 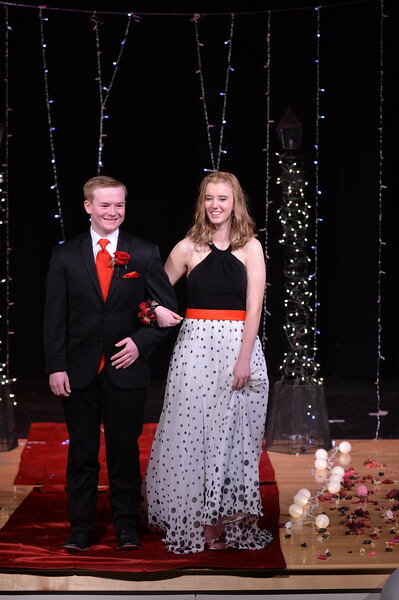 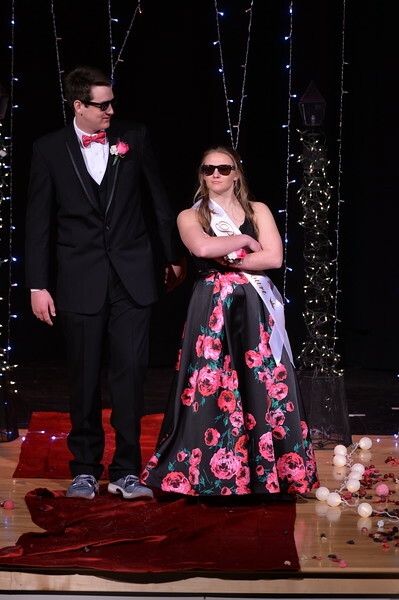 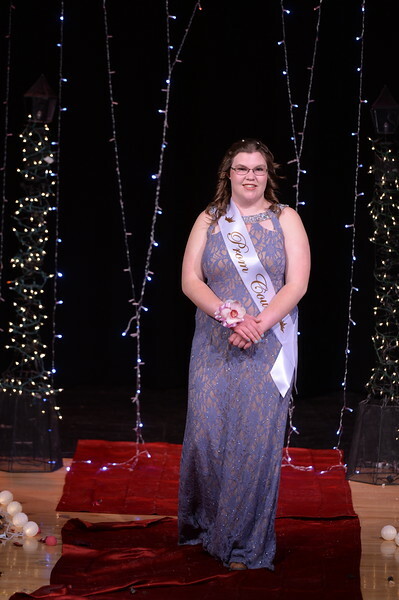 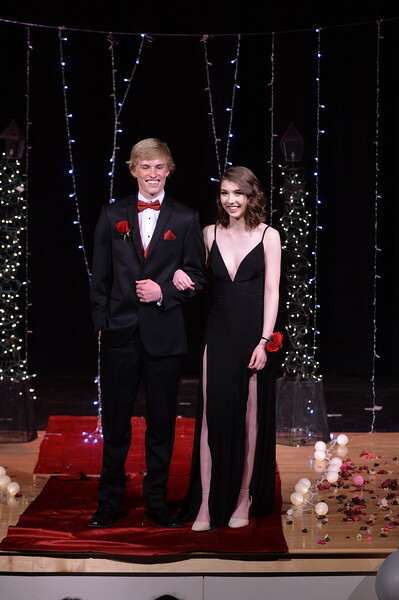 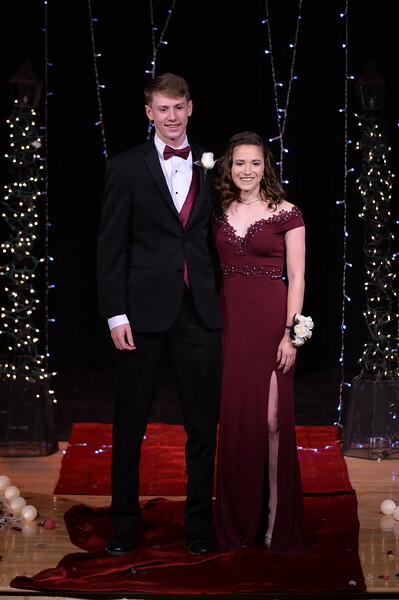 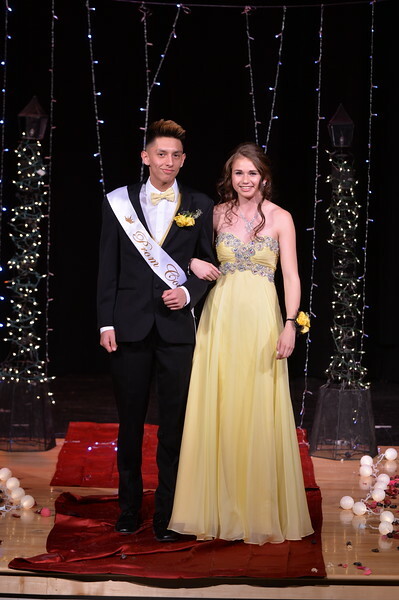 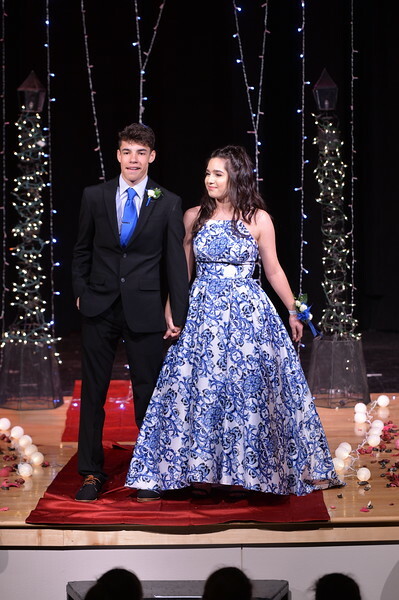 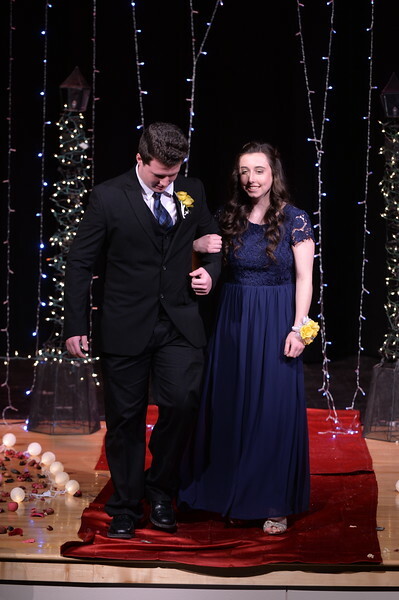 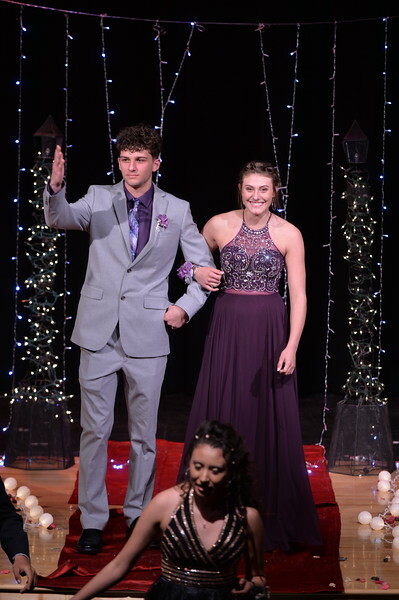 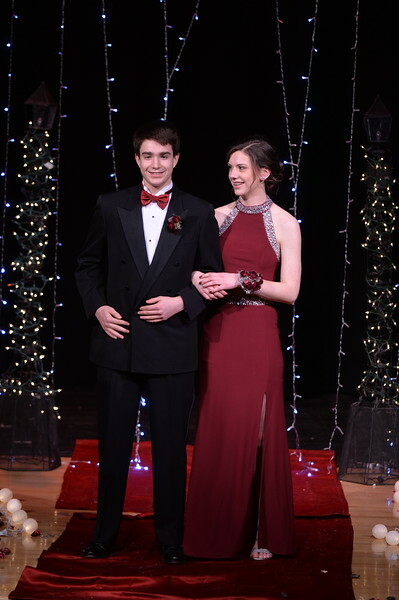 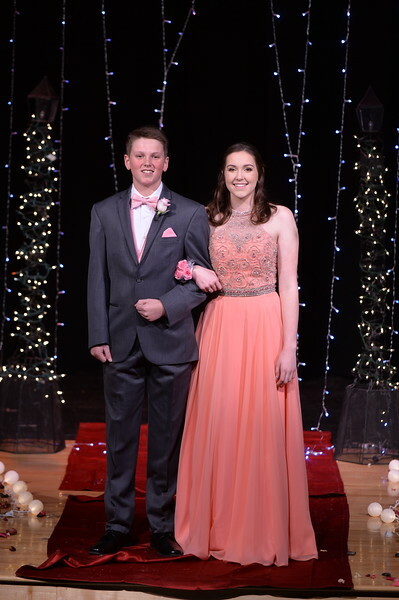 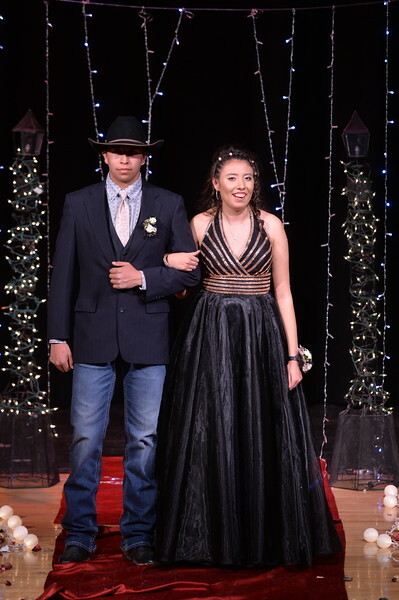 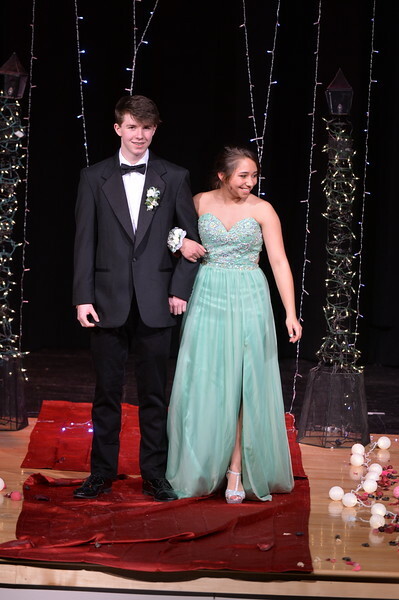 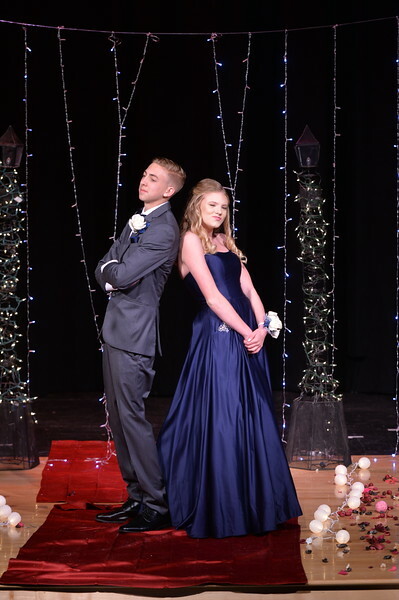 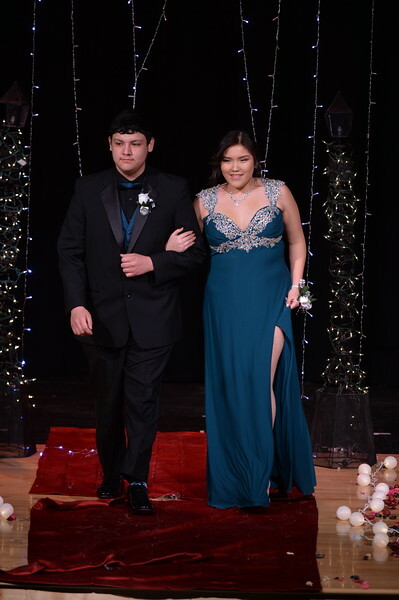 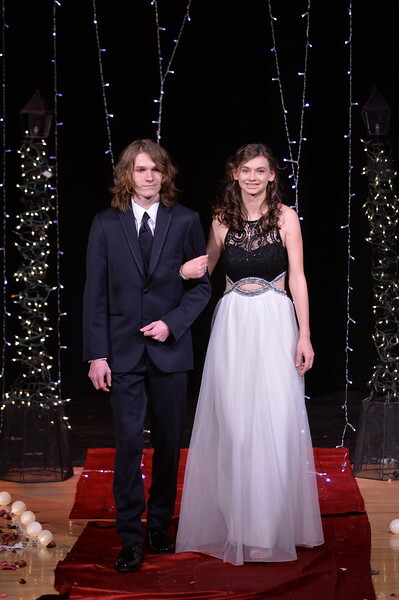 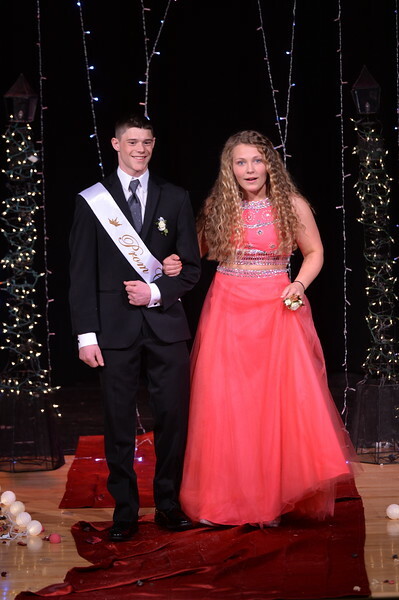 Prom queen, Kayla Stimpson and prom king Jay Keo pose for pictures at Tongue River High School Saturday, April 7, 2018.